Well, I don't like Terminal IDE. It's really Android focused and makes some concessions in order to be able to run on devices that aren't rooted. But as luck would have it, the whole Debian chroot process seems to be already automated by software like Debian Kit and Lil' Debi. I decided to try Lil' Debi. At first I kind of failed, perhaps because I went with the default mirror which was rather slow. Apparently if it times out it doesn't try again but just skips the package in question, and I ended up without apt -- which was pretty much the point of trying in the first place. I tried to grab it through wget for installation with dpkg, but wget didn't work. I then tried to download the apt package through an Android browser followed by running dpkg -i, but it came up with incomprehensible errors. I ended up deleting the whole attempt. I then tried again and made sure to select the armhf architecture along the way, which is supposed to be better and faster if your processor supports it. I'd imagine that pretty much any phone or tablet made after 2010 does. The mirror list is somewhat hard to use because it isn't sorted by region or country like in actual Debian, but I found a .nl mirror which turned out to be really fast and dependable. Unfortunately Wheezy came up with some odd error, but yet another retry with Jessie was the magic bullet. I now have a properly functioning little Debian installation on my phone. A bad surprise is just how slow it can be. Stuff like Vim goes back to the '90s and it's as fast as can be, but apt-get takes forever to read the package lists, calculate dependencies and such. Although I didn't bother checking with top, I'm quite sure it's the CPU rather than an I/O bottleneck because of my phone becoming noticeably warmer to touch in the process. I imagine commenting out some stuff in /etc/apt/sources.list might be able to speed things up in that regard. The only remaining problem is that although the few minutes I spent on this were successful, I haven't been able to find any nice portable keyboards. Basically I'd want something like the Cherry G84-4100LCMEU-2 that was a little more like a normal keyboard. The G84-5200 is unfortunately more or less the same thing with a numpad added. The Matias Mini Quiet Pro looks a little more interesting in some ways, but damn is it heavy. ...to be able to run on devices that aren't rooted. You mean you have not rooted the phone? For me it's pretty obvious that before trying anything far-out with an Android phone you should be able to become root. In my phone the space is just 200 MB, so in order to make any systemic rebuilding there, I have to be able to wipe it out completely. I am not thinking about it much yet, as the phone is quite functional and I need it as phone. For occasional fun I have installed a terminal emulator and played around with it. I even found a few commands that work in the terminal, for example exit. None of the stuff I mentioned (except Terminal IDE) will work without root. I meant exactly what I said: Terminal IDE feels slightly handicapped because it'll work without root. But on a non-rooted device I'd probably love it. Without an SD or microSD card you're out of luck, but really I'm only looking into it because sometimes (but only sometimes) I could suffice with less weight than the netbook. Something like an Onyx Boox i86 might well theoretically (but probably not in practice, at least not by me) be turned into a full-on Debian tablet like this. Imagine using LibreOffice on the i86' 1600x1200 8" eInk Pearl (no Carta ) screen instead of on a pesky LCD screen. Unfortunately it'd probably be horribly slow given apt-get's performance with a comparable ARM CPU on my phone, even though LO has become snappier and snappier on my netbook. What I actually want is probably way too niche. Something comparable to a CX-919 (or any other thumbdrive-sized Android stick with decent performance) with a battery pack which'd drive an eInk panel over Mini DisplayPort and a keyboard over USB. With some clever cover-making it might even fit in my netbook cover. The only problem is storage. Maybe a more phone-sized computer could find a clever way to allow for M2 storage plus an integrated battery. (Yes, I'm effectively describing a screenless phone with a few more ports.) Given the modest power requirements for ARM and eInk, 3000 mAh or so might suffice. The reason for this is simple. My 2004 laptop had a great screen and a decent keyboard. All I really wanted to upgrade was the motherboard, CPU, and memory like I would on a desktop, but instead I was forced to replace it with inferior components. Thankfully this downward trend finally seems to be reversing with "Hi"DPI. I submit it should be called semi-reasonable DPI instead. Oh look, apparently you can already get fluid black and white video playback on Eink Pearl. Why isn't this available in a tablet or netbook already? And Intel is teasing with eInk (albeit on the wrong side). I figured I'd post from Android. Pretty obvious Android use these days: Connect your smartphone/tablet to an external monitor via HDMI. You will need this thing. For this to work, the smartphone/tablet must have MHL function among its USB OTG capabilities. According to my quick googling, it's specifically disabled in (newer) Samsung Galaxies, but Xperia Z series has it. M5 and Asus Zenfone 2 don't have it. Somebody somewhere said there's a hack to enable it in Asus Zenfone 2, but I didn't hunt the hack down. Other than this, it's possible to use some apps to connect your (smart-)TV to your Android over wifi. Which is worse. That definitely wasn't part of my requirements when I picked the Zenfone 2. What's the use case, precisely? The use case to connect your smartphone to a bigger monitor? The same reasons as when you connect your laptop/netbook to a bigger monitor. Say, you photograph a trip with your smartphone. Then you meet up with the extended family. And there's that TV with HDMI connector just standing there. Why not make it useful? To be honest, this function did not occur to me either, at least not distinctly or urgently, when I was choosing a new phone, other than the vague sense that it would be cool if the smartphone would be able to replace my aging and apparently unupgradeable netbook as much as possible. What about connecting the smartphone to a datashow, replacing the need for a computer? It could/should be done by HDMI, USB - or Bluetooth. If it's an app that would connect several devices over wifi, then I consider such connection inferior to a wired connection. If it's another gadget in addition to TV, monitor, laptop, and smartphone, then sorry, we are already flooded with gadgets. For example, this is yet another gadget, my travel keyboard that I use to type notes into my smartphone when on the train. Too many gadgets not good. True, most (all?) cameras tend to come with such functionality. However, I've seen it in actual use only once. I suspect the amount of times one might want to use it, however small, is several orders of magnitude higher than the amount of times that one happens to have the right connector with them as well. For example, I am typing this message on my travel keyboard connected to the smartphone and it works pretty darn smooth. To connect the smartphone to TV or some other big monitor via HDMI would also be awesome. Sure, I think that's a fantastic concept. But afaik only Ubuntu and Windows phones can really use that potential. I suspect @Barulheira meant slideshow. I have used my previous smartphone to go over my slides, so using it to do the showing isn't a big leap. Really? What potential is missing in this Android usage? Even my older smartphone has a slideshow function in the photos folder. I've used it, but it's limited to the phone's screen size. When the plan is to make a presentation for everybody in the room, it would be nice to be able to use the biggest screen in the room. The potential that's missing is that it's not a "real" computer. Pretty cool if you want to show some Android stuff to other people, but barely harvesting the potential. Case in point, my phone is faster than my 2010 netbook, has more memory and a better GPU. It's only storage space in which it's inferior. Anyway, on a phone Android's blah-ness isn't so bad (yet), I suppose, but on tablets it's positively cringeworthy. And let's face it, tablets are the new netbooks. I wouldn't mind owning something like the Cube i7. There's just one important thing in that video that (current) Android cannot do - window mode. Everything else is doable. Try Alt+Tab on a keyboard attached via USB OTG some day. It's fabulous. And mouse works too. That's why I have a trackpoint on my travel keyboard. The same applies to my phone. And it can carry a 128 GB microSD card. I will give the netbook away some day. And let's face it, tablets are the new netbooks. And smartphones with a screen above 4" are really tablets. With a big enough screen and a strong enough processor they are as good as netbooks, except that netbooks have a bigger number of useful sockets. In spite of its clearly visible pixels, the simple fact that its screen is twice the size makes my netbook significantly more suited for actual computing. I hold my smartphone in front of my face, but I can't edit that way. If I put it down, it's too small and/or the position is awkward. That being said, in principle I don't need to see what I'm typing as long as I'm just jotting down thoughts and I could just as well use vim or something. The biggest problem is that there's no such thing as easy file sync like I'm used to across my devices, and of course the lack of a network port and USB ports. Also I could hardly do things like SVG editing on my phone right now, mouse or not. Admittedly that's more for fun than anything else, but still. In spite of its clearly visible pixels, the simple fact that its screen is twice the size makes my netbook significantly more suited for actual computing. I hold my smartphone in front of my face, but I can't edit that way. If I put it down, it's too small and/or the position is awkward. This will make your phone a decent photographing and filming device, in addition to being able to position it whichever way you want in front of you. That being said, in principle I don't need to see what I'm typing as long as I'm just jotting down thoughts and I could just as well use vim or something. Using a real editor and saving the text fairly often goes without saying. Even on actual computers. What devices? Syncing between a phone and a computer is as easy as taking the microSD card out of the phone and putting it into the computer. Or even easier - connecting the phone itself to the computer. If MHL worked, this would be no problem. And even without MHL, there are ways to attach a bigger screen to your phone. I bought an extra monitor because I could not read scanned old books properly on the notebook screen https://thedndsanctuary.eu/index.php?topic=474.msg48082#msg48082 but now I have a smartphone that opens and browses these books much faster than the netbook ever will. I have one of these and I don't complain about awkward positions or too little visibility. Comfy covers not available for your phone? I don't consider those comfy. Also, at the camera stand. I use Dropbox and Unison (and Git) over the network. Of course Unison works perfectly fine with physical disks as well, but that's a giant early 2000s-style pain. But why would I want to do that right now? That being said, every tablet should be a portable monitor. What do you consider comfy then? And those with any interest in photography don't laugh at camera stands. I use Dropbox and Unison (and Git) ov:er the network. Of course Unison works perfectly fine with physical disks as well, but that's a giant early 2000s-style pain. There's a Dropbox app where "select all" to download is missing. There's also Agit app to do Git. Give it a try. Some people make creative use of ssh over their smartphones. I don't know how because I never got ssh to work. All tutorials seem to be missing tons of steps. But why would I want to do that right now? Not right now, but as soon as the need arises. Something that doesn't add bulk in my pocket. 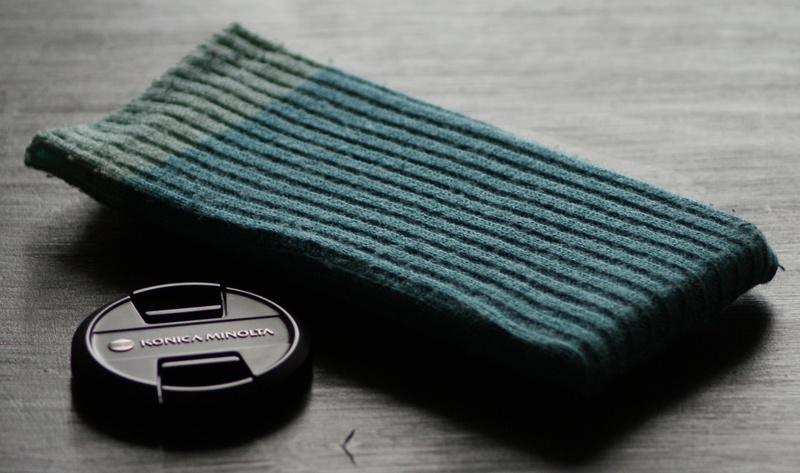 Like my phone sock. Regarding interest in photography, my cameras still don't seem to be able to bring up the decency to stop laughing at the idea of a smartphone camera stand. But I admit that my phone has replaced my '06 P&S, as opposed to a newer P&S. Oh, I've tried. For my purposes Android is woefully inadequate as a netbook replacement, even if we ignore for a second that if I used my phone as a netbook, I'd be at a potential risk of running out of phone. Phone sock? To answer the phone, you have to take your phone out of the sock completely. The sock does not make your phone more comfortable to hold. It doesn't serve as a stand. It doesn't protect the phone's screen. All it does is amplify the dust around the phone, which is what a pocket would do too without any extra hassle. Seriously, a cover/wallet as depicted is indispensable for a big Xperia. Current big Xperias are made entirely of glass. They absolutely need those covers. I have held Zenfone 2 in hand. It stays in hand with surprising comfort, something that Xperias don't do without a leather-ish cover. Most of Zenfone's casing is metal, so it doesn't feel urgent to put covers around it. I definitely wouldn't put it into a sock either. But the cost of not having those covers is that you can never position the phone securely enough to type a note on external keyboard or watch some YT while sipping coffee. For my purposes Android is woefully inadequate as a netbook replacement, even if we ignore for a second that if I used my phone as a netbook, I'd be at a potential risk of running out of phone. For my purposes, having a decently portable laptop and a fairly powerful smartphone, a netbook feels superfluous. I got it for free as someone's leftover anyway and never managed to find proper use for it, other than the pleasure of trying out a dozen Linuxes on it. I perfected my Openbox settings on it and discovered i3wm. I will find a way to make it useful to someone who doesn't yet have a computer. It doesn't protect the phone's screen. Umm... yes, it does. It enables my phone to live next to my keys without any side effects. Actually the screen could probably do that regardless, but you should've seen my feature phones. *grins* But my previous socked smartphone looks just like the day it was new. Anyway, to protect from accidental drops or some such I've got the bumper case. The only thing missing on the smartphone is an OS/window manager of my choice. That's been my point all along. It's not the smartphone itself that is inadequate per se, although to pretend that its size is comfortable is silly, but the real issue is Android and iOS vs Ubuntu and Windows. If you plug it into a big monitor and you've got a mouse and keyboard, do you want Android? Of course not! Although ideally you could choose your OS at will, like on a real computer. Well, of course it is. A netbook is a portable laptop from a bygone era when more powerful laptops were neither very portable nor very good at battery life. But nowadays a laptop is called heavy when it weighs the same as my netbook and its battery life is called barely adequate when it is also roughly equal to my netbook at 4-6 hours. What the netbook has going for it is that it was cheaper. I suppose an unlocked and well-supported Chromebook could be of interest with regular Linux software. That's been my point all along. Good we finally got to the point. I never said that the size was comfortable. It's comfortable or usable for certain purposes and in certain ways. The touchscreen and processing power are great for viewing videos and clicking around the web (better than netbook), but atrocious for text input (this is where netbook is better). But being portable is a sort of comfort, and the phone is more portable than the netbook. Things get weird at the point when the netbook which cannot run 1080p videos properly can be attached to an external FHD screen, but the smartphone cannot. The phone has the better potential. Once I can attach it to external screens, it's possible that I will want more than just present a plain slideshow, but first even a slideshow on the external screen would be nice. Particularly since digital cameras can do it. Now, there is an inbuilt menu item "Throw" which is supposed to cast stuff wirelessly to external screens such as TV's, but this requires some app in the TV, probably newer Sony Android smart-TV, nothing else. Which is stoopid. Wrong solution to a problem that should not be there in the first place.